Happy Valentine's Day in arrears! Hope you had a nice time? Here's todays vlog and I hope you enjoy it! My week has been so busy already and I'm just waiting for the day I get to chill!!! 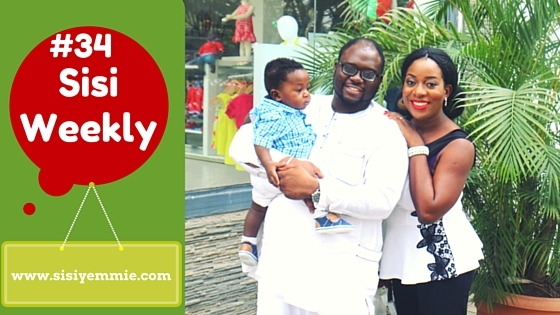 Special shout out to Tosin of Olorisupergal, she celebrated six years of blogging! It's not easy and I know because I think my blog is going to be 6 this year too! How time flies! Some of you have been with me from the beginning and have seen me go from then till now...Thank you for support! I LOVE what I do, cheers to many more years of producing awesome content! Hope you have SUBSCRIBED to my channel so you won't be carrying last on my videos? Click HERE to subscribe. Uncle junior Is so funny. Humour runs in your family, Sisi. Happy Val's Day in arrears. Look at Tito's hair .. tehehehe. Reminds me of my god-daughter's hair. I always enjoy watching this. Keep it up!